My experience in Chicago and Milwaukee has been nothing short of incredible. We often sing songs and pray prayers asking God to open the eyes of our heart, but to really SEE His heart we must step out of our comfort zones so that we can see beyond what simply lies right in front of us. As soon as the Chicago skyline came into view we knew we were entering new territory. The majority of our team live in towns of less than 5,000 people and those people don’t tend to be very ethnically diverse. Even after being crammed in a van with all our belongings for twelve hours the excitement of entering the city was palpable. We know that God is no respecter of persons and that he loves the small farm town as much as he loves the big city. However, we also know that His heart is with the broken, the lost, the widow the orphan, the poor, basically with people and it goes without saying that there are a lot of those in the metropolises of Chicago and Milwaukee. We were excited to see the sights, but God showed us so much more than the Sears Tower, Soldier’s Field, and the Bean. Not sure if it was the prayer and fasting we did to prepare for the trip or just inspiration from the great ministries that we got to be a part of, but collectively our senses seemed to be heightened. We know nothing about the lay out of these two cities and our maps apps failed us multiple times, but God seemed to be leading us every step of the way. We collided with people who were in need, not just physical need, but emotional and spiritual needs. Rarely did anyone turn us down when we asked if we could pray for them and each time God gave us the words to pray, tears fell from both our eyes and their eyes on more than one occasion. The Holy Spirit was guiding us, He had opened up the eyes of our hearts just as we had asked Him to do, and He was using us and it was even more exhilarating than the skyline itself! While in this incredible city we had amazing opportunities to work with various ministries. Whether that was handing out bags full of essential items to those living on the street with Seeds of Compassion or leading children’s services at an International Church, we experienced the beauty of diversity and God’s heart for ALL people (no matter their status or race). While partnering with the ministry “City on a Hill”, we took a break from our phones and our social media platforms and just said, “Use us! Show us Your way!” and He did just that. 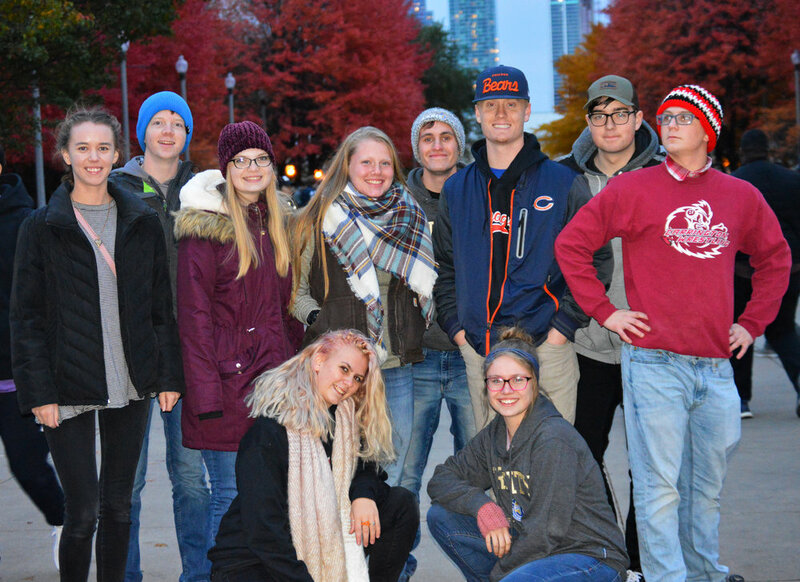 We learned so much about the inner city, about the different nuances of ministry and needs in urban areas versus our familiar rural areas, we got a glimpse of what’s it’s like to live in poverty, and how much we all really need each other. We were created to live and function in community, when we do this, everyone benefits. PYB is allowing us experiences and opportunities to live as Jesus has called us to live and we are so very grateful. We got to experience a little bit of heaven in the diversity of the cities, the cultures, the foods, the colors, and the languages. We did not return to TBC as the same team that left, God has opened up both our physical and spiritual eyes a bit wider and we will see and respond differently as a result. May we always be willing to step out of comfort zones, pack our bags, and GO to the people that He came and died to save.